Top 5 architecture software: – There can be various reasons for a person to look for architecture and plan designing software. You may a student of architecture looking to enhance your skills by practising virtually- it saves material as well as money. You may be a layman seeking to chalk out a floor plan for a new house, or simply interested in juxtaposing room positions and walls to get an idea as to how they would look in actuality if built. Architecture software can be really useful in preventing regretful experiences later when the home has been constructed a wrong way, which is costly as well as a huge headache for the persons the house belongs to. If you are clear about how you want your house to be built, it is less likely that there will be mistakes in construction, and this can only be guaranteed by the use of a good architectural software. For whichever purpose you require architecture software, the internet offers a wide range of such software, and a lot of them come free of cost, which is the most desirable to all of us. This article will list the top 5 free architecture software so all you have to do if you are confused is, pick one of these, and just download it online. This free software offers 3D design for home and floor plans as well as any landscape you wish to see a realistic model of. The interface is really user-friendly and allows features such as elevation, projection, lengthening, zoom in and out, adding names to objects and materials and a visual walkthrough experience for the user. Text messages can be added, and the user is free to make drawings with a virtual pencil. Shapes like circles and rectangles are also available, and so are the cut-copy options. Users are free to import backdrop images in JPG, GIF, PICT and a few other common formats. 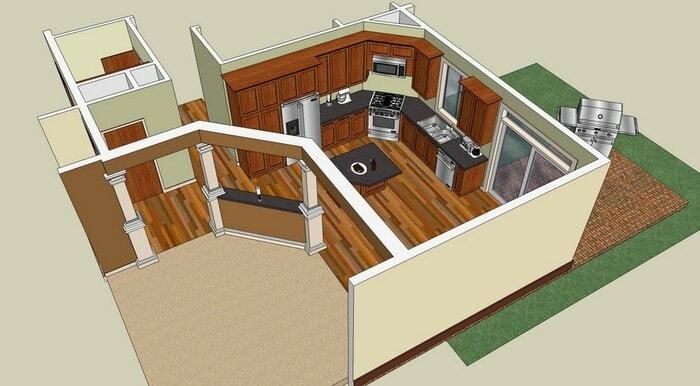 This software is not ideal for floor plans, though you can attempt to use it to create one. Users have complained of more than necessary mouse control, and lack of sophisticated designing tools. This software is great for you if you mainly want to view 3D images of a given space, and are not looking for advanced architecture tools. The simple UI is ideal for a user who is not very experienced in editing and designing online. 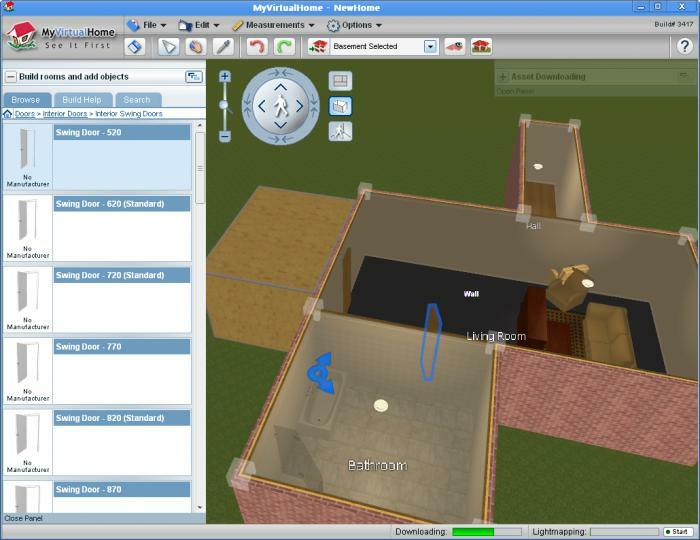 This is great software specifically for those who want to envision and plan what their home will look like, as it shows the user an actual rendering of the effect certain type of construction of say, walls, doors, bathrooms; will have on the layout and structure of the home. This software offers highly creative and interactive models of objects, surfaces, materials and also determines what the lighting will look like in different parts of the layout. For those who don’t wish to hire an architect, or just want to get an idea of what they want their home to look like so they can instruct the architect likewise; this software is perfect. Moreover its free of cost and it includes details of material and service suppliers alongside- how to contact them, the rates charged etc- so you don’t have to go hunting for a supplier separately once you’ve selected and liked a material. Not only building supplies, also home decoration and garden supplies are provided. A drawback of this seemingly perfect software, though, is that it was created to target a vastly Australian audience. So unless you’re staying in Australia, the cost of materials offered, as well as the suppliers, won’t be of any good to you. For the designing purpose, this software is wonderful, but it is not designed to adapt and cater worldwide, so that’s a big con for us. This is oriented specifically towards all those budding architects, and the already established architects as well. Filled with advanced tools that every architecture student comes to be familiar with, this software offers precision in detail, easy drafting and creation of designs smoothly. AutoCAD Architecture comes in two versions: free trial and paid. The reason this software features at number 3 on this list is because it offers professional architectural tools, and although the free version is only a trial, any architect or aspiring architect who uses this is guaranteed to fall in love with it- the paid version is then totally worth the one-time expense. Fully compatible with Windows ( both 32 bit and 64 bit), this software is unique in the fact that the drawings you create will demonstrate real life behavior- smooth material displayed as smooth, rougher material shown as grainy, and so on. This is extra cool for the architects out there as they would like to see their creation taking form. Sadly, though, if you don’t want to shell out the minimal price for the full version of this software, this may not be the one for you. This software is quickly gaining popularity among users after Google gave its name to SketchUp. 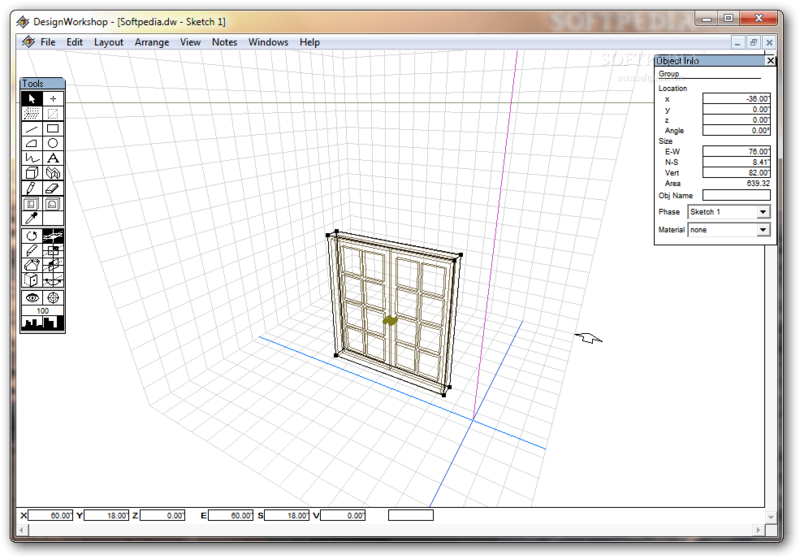 SketchUp comes in various versions such as SketchUp Make and SketchUp Pro- users can choose whichever version they feel suitable to their requirements. SketchUp has faced a lot of criticism for its limitations- that it cannot recognize a shape that is not straight cut like rectangles or circles but has a unique shape of its own; that performance issues slow down the speed and functioning of the software and similar complaints. But it provides many add-ons and a forum where help is provided freely and timely, not to mention some of the really good features it offers- it is very easy to learn, generates clear 3D images, allows you to take charge of flooring, woodworking, creating additional fixtures such as garage, shed, deck, etc. Every object, surface, and material come with its own unique texture, which is definitely a plus. Lack of accuracy is a problem, but with the developers working hard to fix that, SketchUp should soon become even more popular. Its biggest pro remains till date its user-friendly interface. 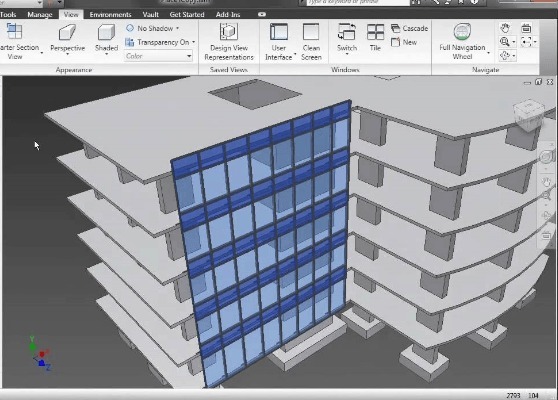 This one if free for all students and education-related professionals, and Revit also offers a free three-year license to use the software to all other users, which is really great. The free membership makes this software ideal for architecture students. Highly structured and professional, this software will save any changes you make as soon as you make them, and will continue modifying the landscape/plan you’re working on to give you an ideal experience. Accuracy is a major plus point with this software- it guarantees and provides designs neat and free of errors. Users can design any structure and view it in 3D form, draft swiftly, and oversee the building process right from the beginning of construction to demolition of parts the user wants to remove. Though well defined and clear cut in approach, Revit is not for new learners and laymen planning their homes- only a person with experience in architectural study and design can utilize Revit to create buildings, fixtures, and additional detailing. If you don’t mind paying, ArchiCAD is also a really good architectural software that provides high-quality designing and efficient performance. Though ArchiCAD provides a free trial just like AutoCAD, users have voted the paid full version to be the only version worth trying or using; the trial does not offer many features to try. A lot of users don’t want to straight away pay for using software they’re not sure they’ll like, and rely on a trial version to help them decide- but if the trial is not reflective of the features promised in the paid version, customers are not very keen on using such software. 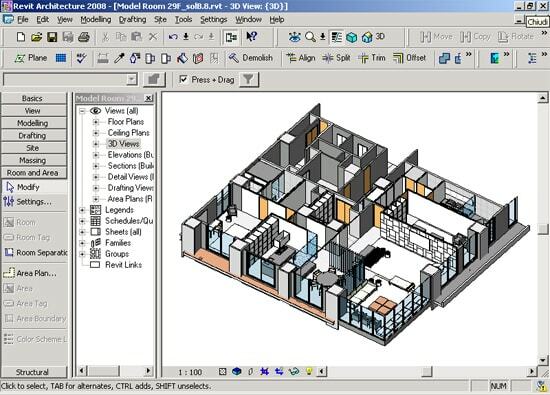 DreamPlan Home Design is another free software that nearly made it to our list, similar to SketchUp in its simplicity and basic rendering, but while DreamPlan offers an extremely limited and unsophisticated range of objects, materials, and tools, SketchUp is far more creative in the options it provides. SketchUp is also extremely user-friendly, which gives it another advantage over DreamPlan. MicroStation is an architecture software used by many because it provides a stable interface to work with. While that sounds promising, users complain that the software lags a lot and leads to performance issues for the computer. Software that lags frequently and causes disruption in workflow is not at all preferable; hence that’s a no for MicroStation from us. It is tough to choose the suitable software from all the architecture software options offered on the internet, but cost, reliability, performance and suitability to one’s needs are the biggest and most important factors one has to remember. While it may feel great not having to pay for using software, paid software is sometimes better in functioning and service. But if one does not want to spend any money, they can easily use any of the software mentioned in the list above, and bear whatever flaws it comes with as long as they are reasonable. Whichever software you choose to download, always make sure that it is a trustworthy website and not some shady lesser known unaffiliated site that looks even remotely as if it may contain malware. Several unknown sites may look innocent enough, but just one click on the download link can infect your system with viruses. Sites such as CNET download, softpedia and official websites are trustworthy. Articles posted on your Web Site are informative, excellent and useful. At any age, one always remains a student in life and there are a lot many things to learn and experience in life. Please keep up your noble and best efforts. Which other ones you have reviewed to come up with your top 5? Did you look at Sweet Home 3D? Hi, good list, but Archicad also has a free version for students.